The 25th anniversary of the Indy in Toronto, former Penske Racing driver Emerson Fittipaldi was the inaugural pole when the event existed as the Molson Indy in 1986. 24 races later, the Toronto event readies with the 2011 IZOD INDYCAR time trials. 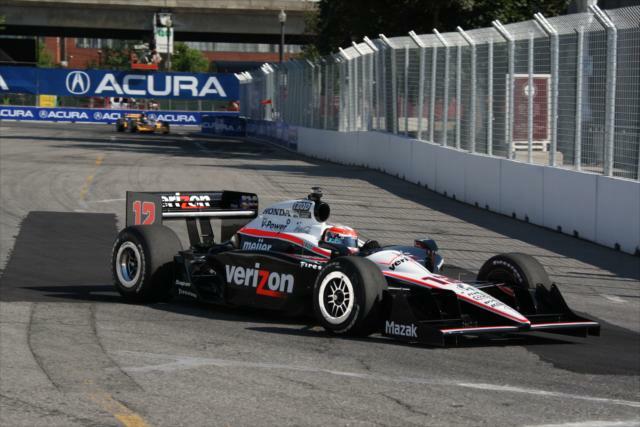 Receiving beautiful weather in the great Canadian city of Toronto, the 2011 edition of the Honda Indy concluded its first day Friday with driver Will Power posting a fast pace. Taking just over 1 minute to lap the 1.755-mile, 11-turn temporary street course, Power's #12 Penske Racing was 1/10th of a second faster than Chip Ganassi Racing's Scott Dixon. 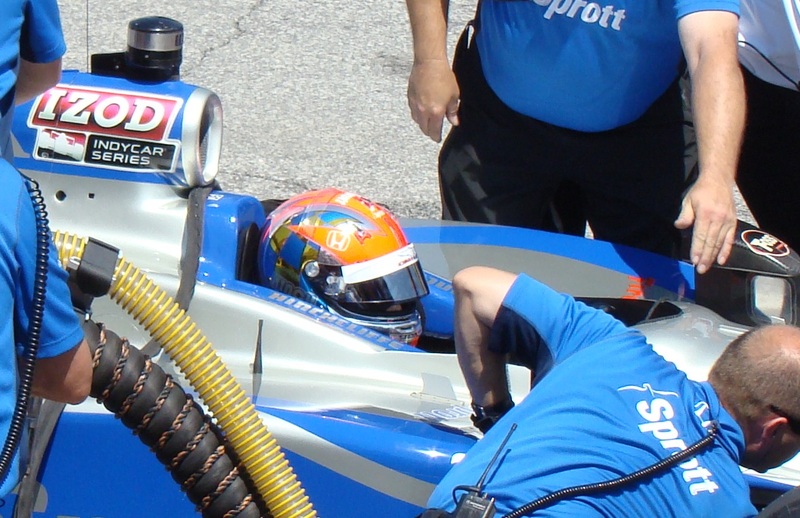 In the second practice session Friday, Dixon was followed on the time sheet by current IZOD INDYCAR Series points leader Dario Franchitti. As the Toronto race ends a 5-race streak of oval event on the 2011 IZOD INDYCAR Series tour, the Scotsman realizes he needs to shut down challenger Will Power starting with the event the Penske driver won last season. In a fast Honda Indy of Toronto qualifying session, the top-3 drivers positioning mirrored Friday second practice with Will Power edging the #9 car of Scott Dixon with a 59.5771 second time. 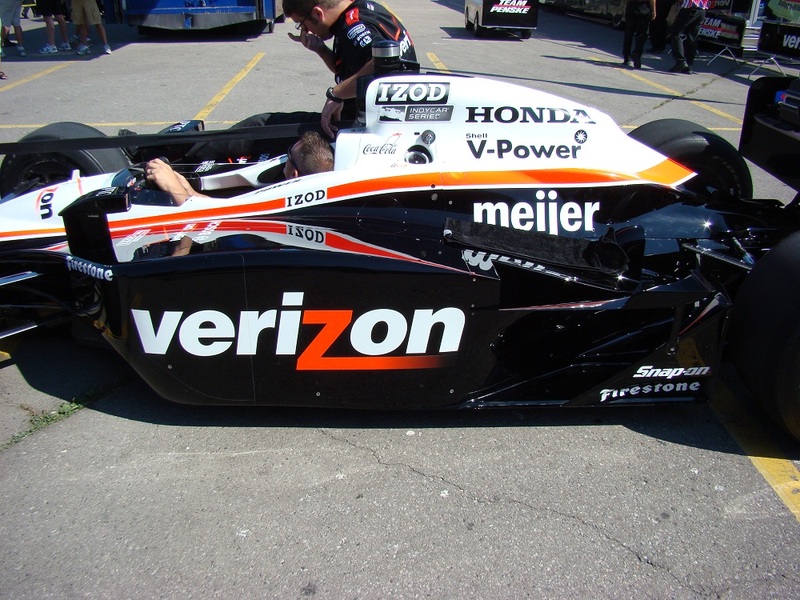 Winning the Toronto race first under the Champ Car banner in 2007, Will Power took victory in last year's IZOD INDYCAR Series round on the temporary street course. Recording a 2nd fastest time in the qualifying order with 59.6646 second lap around the Toronto circuit, Dixon retains a normally strong time trial effort through his five career events at the race track. Dario Franchitti resulted the afternoon with a 3rd place timed run but was almost bumped by a fast Andretti Autosport car in the hands of Mike Conway. Fastest in the morning practice, Conway wheeled his #27 to a 59.6329 second pace through 1.764 miles. The top-4 drivers in Honda Indy qualifying broke the 1 minute barrier. Concluding the timed session with a 5th place, a delighted Graham Rahal driving the #38 Service Central Dallara-Honda looked forward to the 2011 IZOD INDYCAR Series season's return to road course. Rahal captured a runner-up spot in the last street course event at Sao Paulo, Brazil. Graham Rahal's teammate Charlie Kimball will be starting his first Honda Indy of Toronto IZOD INDYCAR race in 25th place just ahead of Ana Beatriz. Behind 6th place's Oriol Servia, former Toronto race winner Sebastien Bourdais greatly changed his fortunes after practice. Driving the Dale Coyne Racing #19 as the series returns to road courses, Frenchman Bourdais added a 7th fastest starting position for Sunday's Honda Indy event. The first IZOD INDYCAR race of the year for what is a two-event stretch in Canada, Toronto gives the nation's motorsport fans a chance to intimately cheer on their country's drivers. Totaling three in for 2011, mainstays at the Honda Indy of Toronto Paul Tracy and Alex Tagliani were joined by 2011 IZOD INDYCAR rookie contender James Hinchcliffe. A popular young wheel man, Hinchcliffe seated in the #06 car brought an exciting new dimension to the 2011 edition of the race. Hometown fans for the Canadian contingent of drivers were brought to their feet on Friday by the pace of Toronto native James Hinchcliffe in this Newman/Haas Racing. Recording a 4th fastest time in the second practice session of the opening day of track action, the rookie Hinchcliffe could only muster a 13th place run on Saturday. Alex Tagliani in the #77 Sam Schmidt Racing car posted the fastest time by a Canadian driver in qualifying with 9th place. Driving the #8 for Dragon Racing, Paul Tracy launches off 24th on Sunday Make a Wish Foundation Dallara-Honda. As Will Power surges the hopes for a third Penske Racing team victory on the streets of Toronto, the cars of Ryan Briscoe and Helio Castroneves faltered somewhat in qualifying. The #6 of Briscoe starts 10th while Castroneves will take the 13th place on the grid. Crashing out of Honda Indy race in 2010, Toronto has been a tough career race for Helio Castroneves. In fact, the Brazilian's best finish on the race circuit was 10th coming in his CART rookie year in 1998. Ryan Briscoe has better race luck on the Honda Indy track with a runner-up result in the 2009 race. A three-time winner in 2011 and the reigning Honda Indy champion, the pole position may not seal a certain victory for Will Power. Only 6 times in 24 Indy car-style races on the Toronto street course has the winner started on pole. 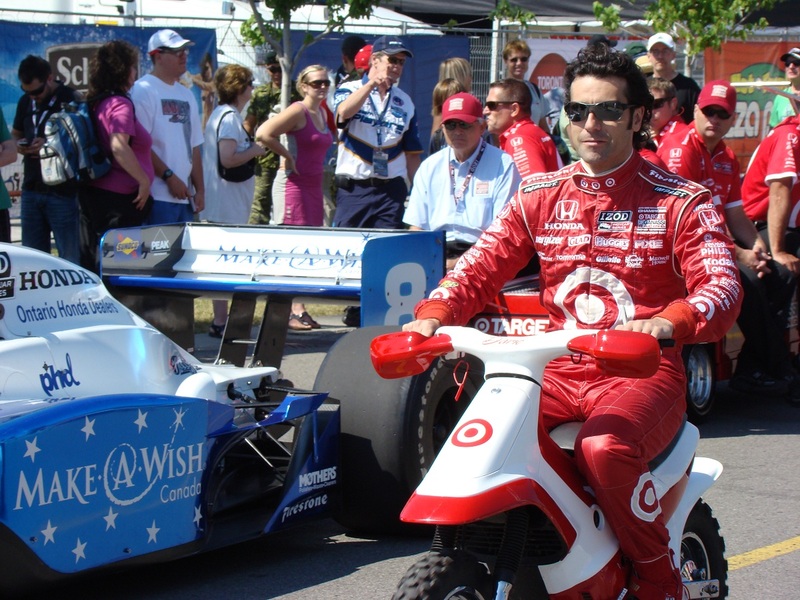 Dario Franchitti was the last driver to accomplish this feat in 2009. The 25th year anniversary edition of the Honda Indy Toronto starts tomorrow at 2:50 pm Eastern time.